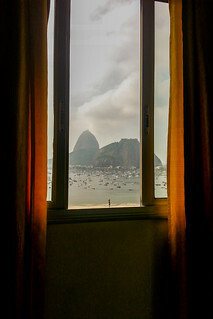 View from the bloke’s hotel room in Rio. The bloke came back last night from a week-long trip to Rio de Janeiro for a conference. 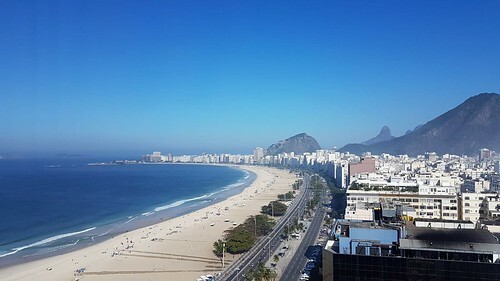 He was ensconced on the 24th floor of the Hilton on Copacabana beach, and went running every morning before breakfast in order to soak up some of the atmosphere before the day full of meetings. He did get to do a little bit of sightseeing. 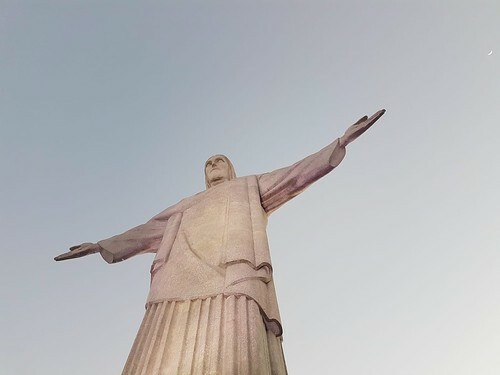 There was a jeep trip one afternoon up the Corcovado mountain in the Tijuca Forest National Park for the attendees to see the 30-metre-high Christ the Redeemer statue, which was quite a stunning spot to watch the sunset, let alone see such an iconic piece of art. View from Christ the Redeemer above the clouds over Rio. 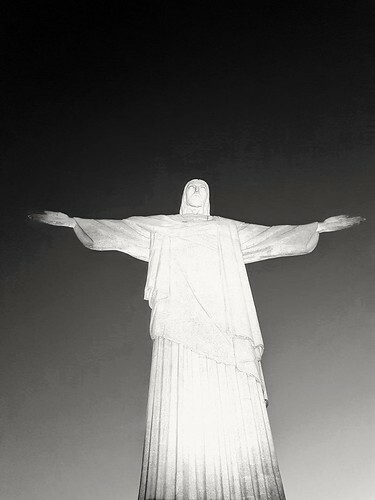 Christ the Redeemer, black and white. View over the city from the forest. 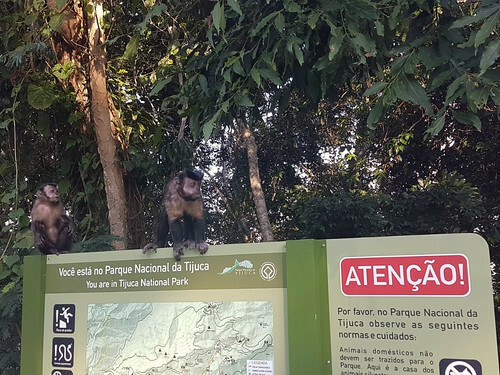 Capuchin monkeys sitting on a National Park sign. The monkeys broke into the jeeps while their occupants were out hiking. They stole all the papayas that had been brought for a post-hike snack. Not only that, they spat the seeds all over the floors of the jeeps. So naughty! This entry was originally posted at https://nanila.dreamwidth.org/1176004.html. The titration count is at .0 pKa. 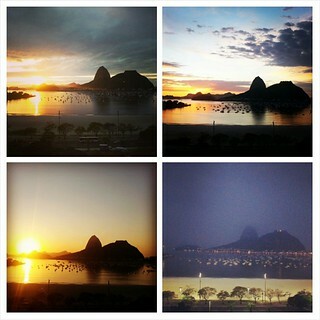 Aw, great photos. 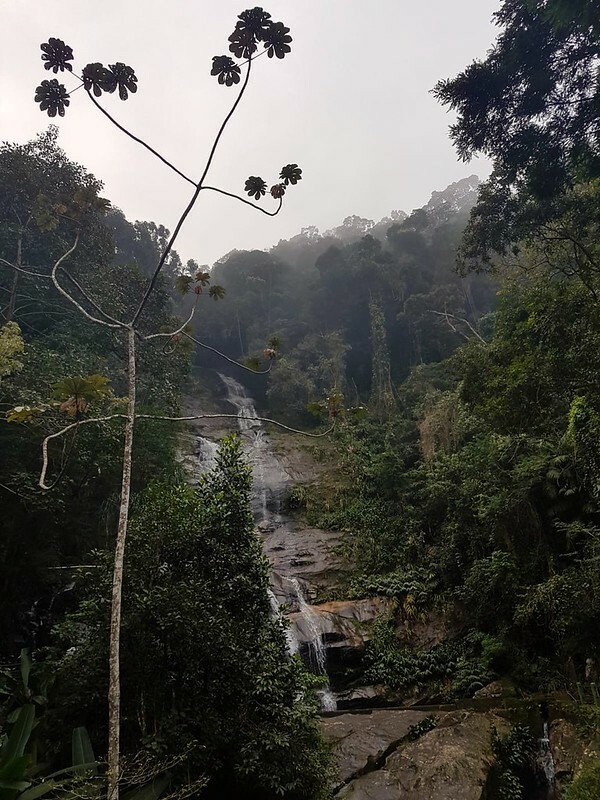 I think I went to that waterfall as well. Brings back nice memories. I definitely want to go. The bloke said he thought it'd be good for a family holiday in a couple of years. There are quite a few things to see and do. I was there for only a couple of nights, and crammed as much as possible in. Wow, that's stunning! It must have been lovely just to sit and watch the light and the clouds changing. Arrrghh monkeys are the worst. In Thailand the steal-and-destroy thing is out of control, and there are signs everywhere in English asking tourists to please not encourage the monkeys into urban areas with food, but of course people want a selfie with a monkey, and the best way to get a monkey in the frame with you is to coax him with food. And then he takes your bag and sunglasses and it's your own damned fault. I think we will go there as a family for a proper holiday at some point!